Today I am extremely happy to talk to an Indian audience and also in the presence of a very distinguished group of personalities of the Indian Homeopathy. My joy is double because not only do I love India and its people but as all my Indian students know, I consider India, where I lived several years, in the long past, as my second country. As I have said again and again, while I was living in India, I never felt homesick for my country, but upon my return to Greece many times I felt homesick for India and its beloved people. It is the good heart of Indian people that attracted me apart from its deep spirituality. It is this special spiritual quality that made India better known to the world. It is therefore not accidental that it is again India that is the pioneer for the development of the most subtle, the most humane therapeutic modality that exists today in our world. Homeopathy is a blessing to have it available for all people, rich and poor. I believe you know already that a lot of rich and powerful people in the West, like politicians or people in positions of authority are today using homeopathy all over the world. But because of this expansion the resistance is also great. On this issue of attacking us from the medical complex of the West, I want to stress that it is based on the irrelevant and nonsensical ideas that a lot of so called teachers of homeopathy, from East and West, have brought in to this absolutely scientific and effective system of medicine. All the media attack is based on this weak spot in homeopathy. I do not believe that such teachers are intentionally trying to damage the reputation of homeopathy, but in their effort to bring about new ideas and present them as “modern homeopathy,” are traumatizing badly this healing methodology and give the opportunity to the organised media to attack homeopathy and to keep it in the background in the West. But I am confident that such a trend will soon be changed and the real value of Classical Hahnemannian Homeopathy will be allowed to emerge again, as it was in the past in USA. How this regeneration could happen? 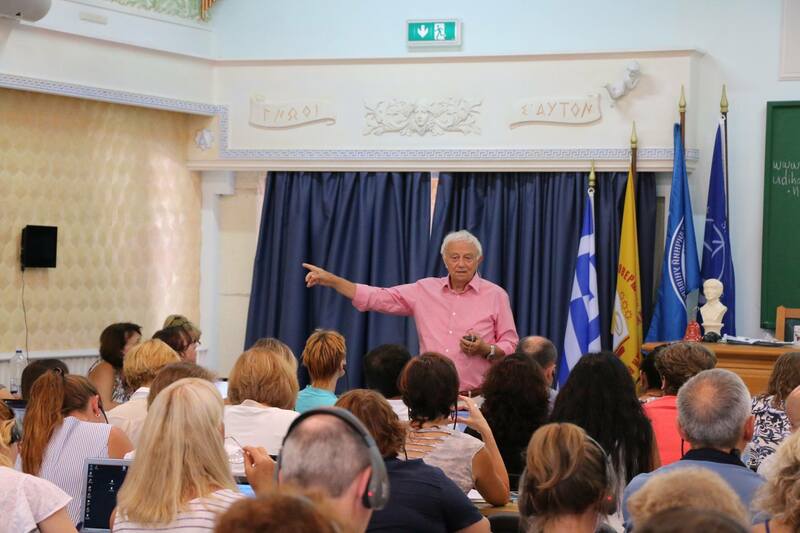 I have already seen certain people in conventional medicine who maintain a position of authority in the medical universities, changing their opinion about homeopathy, after having seen the impressive results that homeopathy has especially in chronic diseases. So the number one tool we have is the evidence of multiple cures that we could attain with good prescribing. How then this effective prescribing could be achieved by the younger doctors? The solution is by organising the education in a better, more efficient way. In order to accomplish this we need to open our educational institutions to all possible ways that could improve the education. I am sure there is a lot of experience at this very moment with knowledgeable homeopaths all over the world but more especially in India who could bring their knowledge and experience in an International Institution of Higher Learning of Classical Homeopathy, where the distinguished teachers and the best students could come together and exchange their knowledge and ideas. To select the best students is not difficult, you only need to pick those that have enthusiasm and intelligence. Enthusiasm will take very long on the road of learning and intelligence will allow them to understand in depth how to use these subtle energies to restore the sick to health. The difficulty will be with the picking of teachers. Today any student who listens for a while to a good teacher becomes himself an imitator of teacher, one who repeats but lacks the real substance, knowledge and experience. Therefore especially in the West it has become a huge problem - the dilution of the teachings of a real Master like Hahnemann. How these teachers could be picked? By going through their patient’s files and finding out what were their results in reality, what was the way they treated their patients; what was the rate of success. If a teacher wants to be part of this Higher Learning Institution, he should have the courage to open up his private practice and allow an investigation so the real facts will be apparent. Only one who can show results should be trusted to teach in this High Learning Institution. Such a contribution from different homeopaths from all over the world could form a platform of exceptional learning for the new generation. I want to say that India with its multiple Colleges of Homeopathy could be the matrix for breeding a new generation of extraordinary healers, knowledgeable and effective that will make the difference. The west badly needs them and is ready to invite them. But it is certain that if the in - comers are insufficiently prepared either morally or scientifically, the whole homeopathic movement that at this moment has attained such a momentum, will soon collapse. We have to stipulate the rules that will keep this movement alive and constantly evolving by adding our experience and observations to the system. There is a lot of scope for evolution but it will be deadly to allow nonsense to prevail under the pretext that we are simplifying matters. I am sure that such homeopaths, that have mastered the real knowledge that Hahnemann has bequeathed us, will be the most looked out specialists that could be treating the deeply sick Western population of today. The health problems of the Western people will be mostly on mental and emotional levels which are the most difficult to treat and the Indian homeopaths are not familiar with such deep problems. Autoimmune diseases, neuromuscular diseases but mainly psychiatric cases will be the bulk of patients seeking for help desperately. India can prepare experienced healers that can conquer the West once again if they become real experts in Homeopathy. Such experts are not prepared easily with a superficial information of this science. Apart from this, our Learning Institutions should be cleared from crazy ideas that pollute the system, disorientate the patients and instigate the enemies. In our Academy we have given the whole program for such an education through the E-Learning Program that is available at the moment, but we do not claim that this is the absolute truth or that this is the end. We are evolving it every day and I am sure there must be some senior homeopaths in this country that could contribute with valuable experience. I have given directions for an Expert System in Repertorization, in order that the conscientious homeopath will be facilitated in to finding the Simillimum. I have given specific directions for a proper potentizing robot so we can have a guarantee that the remedies are properly potentised, and I have treated patients always in front of the students so they can witness the whole process of how a cure is accomplished. I have also given the limitations for homeopathy. In our modern societies the pathology is much more complicated than the old times of Hahnemann and Kent, and I have given further explanations of how a case should be handled in my recent book “The Levels of Health”. I consider this book important for the doctors to understand what is going on in the organisms of the patients after prescribing. It is the of knowledge on this area that makes the difference between a mediocre or an excellent homeopath. I am sure a lot of the present doctors of this Event will be eventually educated properly and I am also sure that the millions of chronic patients in Europe and USA will be extremely happy to receive them as their family doctors.